Perth airport is rapidly becoming an important destination for both commercial and leisure purposes. With routes now open to the burgeoning cities of Dubai and Hong Kong, it’s now a central hub for business. As airport transfer experts, we’re witnessing this rapid growth first hand. The Perth Airport itself has always been a major transport hub for Western Australia. 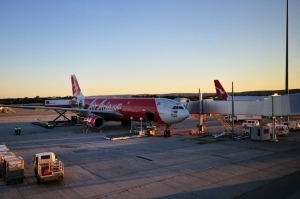 Chartering domestic and international flights, Perth airport is the fourth largest in the country. Serving all corners of Australia, as well as South Africa, Hong Kong, and the Middle East, it’s growing fast. The airport itself is known as the most versatile in Australia. That’s due to the locations served and the airlines that use it. Perth is, of course, the capital of Western Australia, and enjoying a boom in the mining sector. The result of this is expanding connections with the Middle East and Asia. Perth needs an airport to match its high-flying business future, and it’s quickly adapting. Millions of dollars worth of improvements were completed this year, and more are coming. With the opening of Terminal 2 in 2013, the airport now boasts four terminals. The passenger footfall has trebled in ten years, and shows no signs of slowing down. There’s a new runway in development, and a clear mission plan for the future. 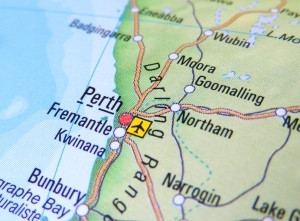 In both business and tourism, Perth is establishing itself as a priority destination. You can expect the airport to grow with it. The big news at the airport is the opening of Terminal 2. With the grand opening in 2013, the airport has had nearly three years to adjust to the changes. The terminal was designed specifically to handle domestic flights. It provided a home for Virgin Australia, Alliance Airlines, and TigerAir, all of whom relocated from T3. With the opening of T2, the other terminals were freed up to manage international flights. With T2 shouldering the domestic flights, international connections have expanded dramatically. Terminal 1 has also undergone an enormous expansion and update. The first stage was completed in 2013, with the final stage opened last year. The expansion focused on the arrivals experiences, making it faster and more efficient. It drastically improved the customs area and baggage reclaim. It also introduced biosecurity to improve the safety of the flights. Of course, there was also an enormous expansion of the duty free retail area too. The new terminal 1 is now much better equipped to deal with the growing passenger traffic. The new proposed runway will help open up the global operations even further. It will greatly expand and enhance the aviation capacity. The ultimate goal will be to open up yet more destinations on the global scale. A new runway will also improve efficiency, and maximise performance at peak times. In fact, the demand for improved performance has forced the developers to bring forward the timeline. As such, we can expect to see the new runway installed sooner than originally planned. The runway is expected to be operational by the end of the decade. Of particular note is the airport’s dedication to the environment. All future development plans put a strong emphasis on sustainable development. The documents outline a clear waste reduction plan, and a focus on renewable materials. It’s a refreshing approach for a notoriously polluting industry area. There’s also a topic that resonates strongly in Australia, and that’s treatment of indigenous land. The current development plans make clear their commitment to preserving aboriginal land around the airport. Future development isn’t just limited to the Perth Airport itself. As an airport transfer company, we are fully aware of the transport links and access to the airport itself. The airport lacks a rail service, and so access via roads is more important than ever. Airport transfer services like ours have noticed the slow but steady increase in traffic around the area. The airport itself is therefore investing in improving the access via roads. The highways will shortly be expanded and enhanced. It will allow much better access to the city centre, and a faster transfer time. Again, this will improve the overall viability of Perth as a global city for business. With all round development plan to improve the Perth Airport and its access, there’s a positive future for the city. The new terminal arrangements, the new runway, and better access will all take Perth into the future. With better efficiency and performance, Perth will soon open up new routes to new corners of the globe. As an airport transfer service, we are looking forward to these expansions in a big way.